TAKE FLIGHT is an ORTON-GILLINGHAM based dyslexia curriculum. KEY FINDINGS show students who complete Take Flight instruction gain significant growth in all areas of reading skill. TIER 3 INTERVENTION targets students who need intensive remediation. THOUSANDS of students served each year through 13 U.S. TAKE FLIGHT therapist training centers. The Texas-based MCA- Multisensory Teacher Training Instructors are in Wheaton, Illinois. Developed in TEXAS, a state that has the oldest standing dyslexia laws on the books. 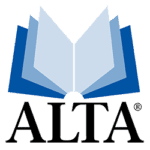 ACCREDITED BY ALTA so trainees can earn certification and the professional credential of CALP/CALT (Certified Academic Language Practitioner/Therapist). ACCREDITED BY IMSLEC whose purpose is to accredit high-quality training courses for professionals. ACCREDITED BY IDA to produce highly knowledgeable and skilled teachers of reading.